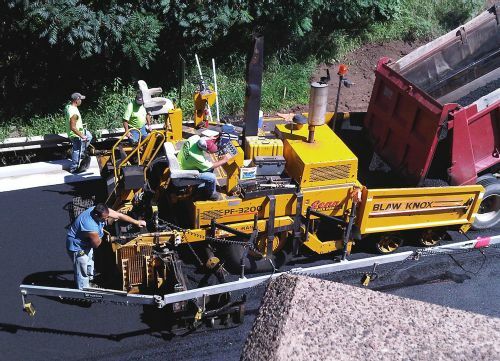 A paver operator is responsible for laying down asphalt material on the roadway. Paver operators’ skillful operation of advanced equipment produces consistently high-quality pavements for smooth driving. Asphalt Plus LLC is a specialty chemical and equipment manufacturing company headquartered near Chicago, IL. We produce an engineered crumb rubber additive for asphalt application. Asphalt Plus engineered rubber has endured a wide range of harsh climate and road use conditions. In spite of those tough situations, Asphalt Plus has performed impeccably well with nearly 3 million tons of placed Dry Mix Asphalt. We have assisted the auto manufacturing industry and the Departments of Defense, Energy and Interior in cost-effectively reducing both their operating costs and their environmental footprint in a wide range of activities.